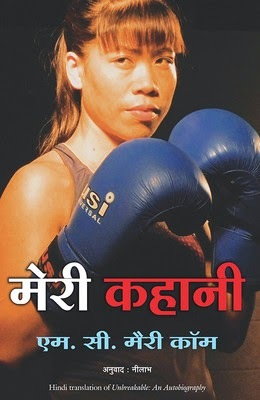 Meri Kahani is an intriguing and moving autobiography of the five-time World Amateur Boxing champion, Mary Kom. In her tell-all autobiography, Mary Kom chronicles her fascinating journey as a boxer, her love and passion for the sport, and the innumerable hurdles she faced in her life. She reflects on her journey to becoming the only Indian woman boxer to have won a medal in all the six world championships. Born to poor peasants, Mary had to strive hard to train under the Manipur state boxing coach. With a will to fight and a burning passion to excel, she trained relentlessly with only one dream – to rescue her family from the dredges of poverty and a miserable life. Despite being a part of a male-dominated sport, Mary managed to bag the bronze medal at the 2012, Summer Olympics. She also writes about the extraordinary contribution of her husband, Onler, and her family in her life. Truly inspiring and deeply moving, Meri Kahani will make for a riveting and engaging read. Mangte Chungneijang Mary Kom is an Indian boxer and the only woman boxer to have won a medal in all the six world championships. She is the only Indian woman boxer to have qualified for the 2012 Summer Olympics, competing in the flyweight category and winning the bronze medal. She has been honored with several prestigious awards like the Padma Bhushan, Padma Shri, Arjuna Award and the Rajiv Gandhi Khel Ratna, among others.